Composer — creating a game music. Wow! This is refreshing and beautiful. Great work, Avatarus. I'm impressed. I suggest contacting Antidote from the forums to fulfill your programming role. He's one of the only people on the net to actually reverse engineer Twilight Princess. Thanks for advice, I'll try to write him. BTW, there are already 3 programmers in our team. I'm creating gameplay elements and the other two work with additional software, reverse engineering of sounds and dynamic music. But still, any help is appreciated. OH, I thought i recognized that name, You went to Emutalk's topic about the BMD importer for 3DS Max. Not necessary. TP reverse engineering is also needed. Our programmer currently works with sound sequences, perhaps you can boost the process. I'm not sure. Try to ask Yuuto from the forum above. 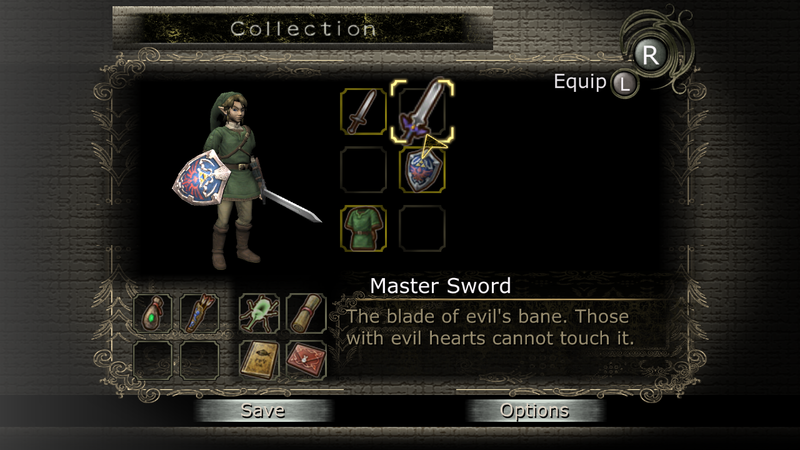 btw For the record, Antidote's responsible for this project: http://code.google.com/p/skyward-sword-save-editor/ ...lol. And many other zelda-related stuff. I do wish you good luck on your project though. The fact that you already assembled a team sounds promising. And I like your presentation, too. Best of luck to you! An aspiring designer and writer. This looks very nice so far, KIU and KIC! Really like where this is going. You seem to have a pretty solid engine and development team. unfortunately, I won't be able to help, but I definitely wish you guys the best of luck and I am looking forward to see where this project goes. Hyrule Field and the dynamic music. The UDK is cool. This project is cool. Zelda is cool. Avatarus is cool. Timpanipinikiwikininies are NOT cool, but we are very lucky that this thread has nothing to do with them. Because of these facts, we know that this thread must be cool. This is a 1st: A fanmade game that is reverse-engineered from an original one. Is it really? After all most of the Sprites are used from other games so wouldn't that count as a form of reverse engineering? Some new weapons for Link. Amazing, looks as if you are playing TP, but your not. woah! this sure looks amazing!! the videos and screens looks pretty awesome!